Yogurt typically comes in plain, vanilla, honey and a variety of fruit flavors. Well, how about something a little different ... like beets? 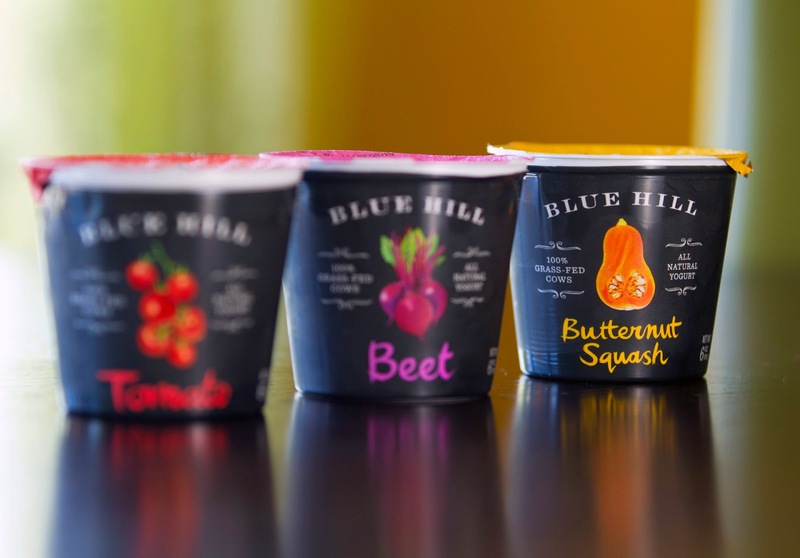 That's exactly the "savory" kind of flavor you'll find in the newly launched Blue Hill Yogurt, a yogurt line available at Whole Foods Markets in the NY, CT and NJ area. It makes total sense, right? Why not a savory flavor of yogurt? 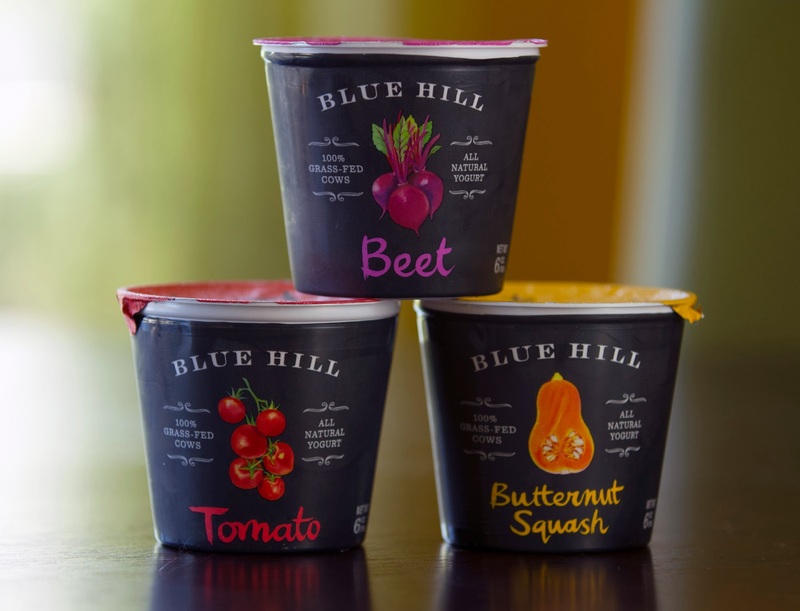 Blue Hill Yogurts is brought to you by Dan, David and Lauren Barber of Blue Hill restaurant fame. The yogurts, which are made with milk from 100% grass-fed cows, are available in flavors like Beet, Carrot, Tomato, and Butternut Squash (a seasonal flavor). They were inspired by savory yogurts made by Dan Barber and the chefs in the Blue Hill restaurant kitchens. The culinary team had been experimenting with yogurt for years and their first creation Savory Granola with Beet Yogurt was the inspiration for the entire line. Blue Hill Farm, the Barbers’ family farm in the Berkshires and the original inspiration for Blue Hill restaurant in New York City and Blue Hill at Stone Barns in Westchester, was a working dairy from the 1860s through the 1960s. Three decades later, Dan, David, and his wife Laureen refurbished the farm and brought the dairy back to life. The grass-fed milk in the yogurt is sourced from several small, family-owned farms in the Northeast, including Blue Hill Farm, that has converted their herds to a 100% grass and hay diet. The carrots, beets, tomatoes, and squash that go into the yogurts also come from independent farms in the Northeast, several of which supply Blue Hill NY and Blue Hill at Stone Barns with produce for the restaurant kitchens. What's the taster verdict? This stuff is really good! The yogurt is really tangy, which I love. Even though they are considered savory flavors, each one has a balance to it, with just a hint of natural sweetness. They are all delightful eaten on their own or with mix-ins, but I say it's easy to get creative and use them in a slew of ways. Here's my flavor run-down. The gentle, garden fresh tomato taste hits your palate right away. After a few spoonfuls, I felt like this one would make an awesome dip. I went and mixed in one minced garlic clove, a 1/2 teaspoon ground cumin, 1/8 teaspoon cinnamon, 1/8 teaspoon ground cardamom, 1/8 teaspoon paprika and a pinch of salt. It was perfect with crackers and raw zucchini sticks. In a pinch, this yogurt easily transforms into a healthy dip. Up front, you taste raspberry (there's raspberry vinegar in this one), but then it reveals the earthy beet flavor. The beet flavor isn't overpowering, really nice and subtle. The color is amazing too! Again after a few spoonfuls, inspiration struck. 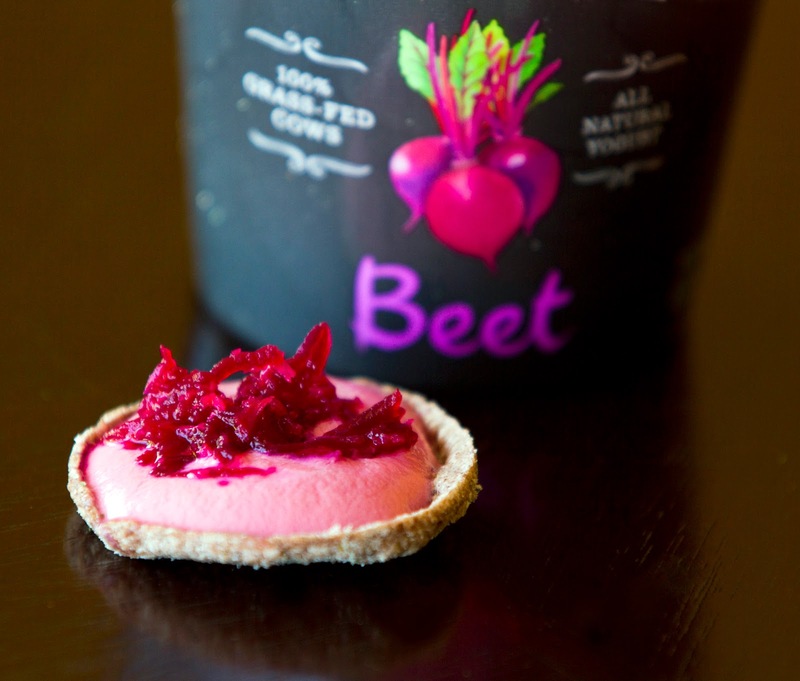 We put some yogurt into a Lesser Evil Chia Crisp and topped it some Can't Beet It Hot Beet and Horseradish Relish. 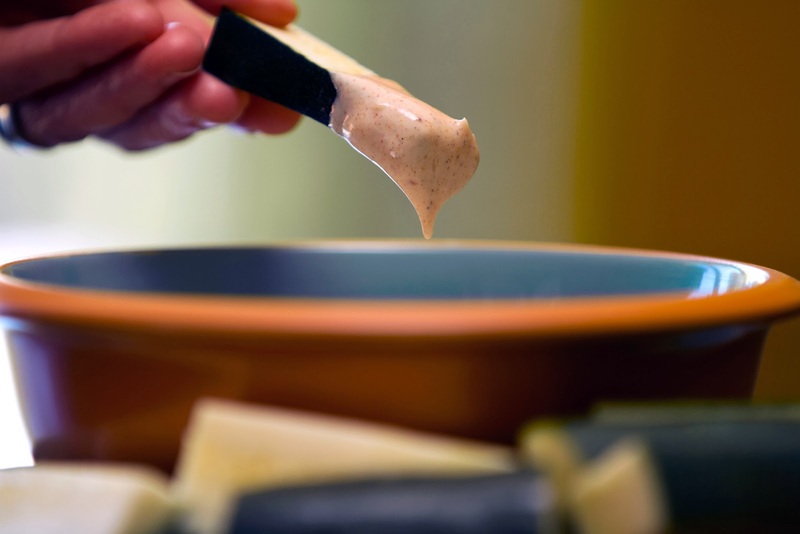 Another easy and delicious appetizer is moments away with this yogurt on hand. This tastes like all the awesomeness of a pumpkin pie or pumpkin bread. While we just savored this one as part of our lunch, both Renato and I thought of a million mix-ins that would bring this over the top. Think candied nuts or pumpkin seeds. Oh and seriously you need to dip gingersnaps in this ... or better yet use it make on a Fall custard with a gingersnap crust! TBD. We were bummed that our local Whole Foods was out of this flavor, but after sampling the rest there is no doubt it's going to be good. All in all: Savory yogurt. Put it on your list. For more about Blue Hill Yogurt, including recipes and videos from the Blue Hill kitchen, visit www.bluehillyogurt.com. Disclosure: I received one container of each yogurt flavor free of charge from Whole Foods Market to facilitate this review. I received no other compensation for this post and the opinions contained herein, are my own and reflect my experience with the products. Your own may differ. Each one sounds better than the next! I love this savory flavor profile! Can't wait to try it! I'm not sure about Beet but I would love to try the Butternut Squash. LOL. Beets can be an acquired taste. Definitely give the butternut flavor a try. I want to try the carrot one in the worst way! I know it! :) Next time I'm at Whole Foods I hope they have it.